Collures linger in forests and caves ever so quietly. When they sense a human presence, they use their magical tongues to create the form and sound of a child in distress, calling for help. Anyone reaching inside the their cave-like mouth to save the child will be quickly devoured. As a Collure digests more victims their mimicry will improve, slowly learning the makeup and structure of a human form. 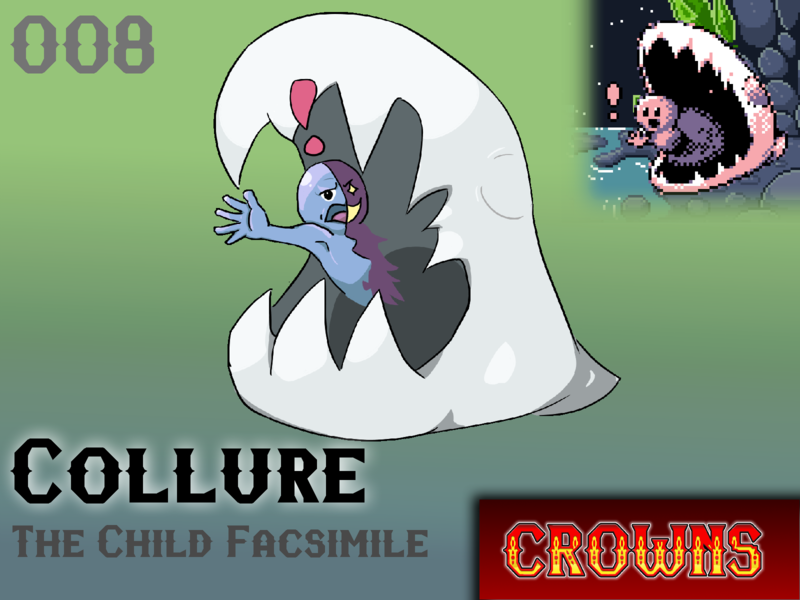 A frequently heard myth on Crown Island is that if a Collure can live long enough, and consume enough victims it will one day leave the forest or cave - as a perfectly formed human child, blending into a nearby town, and consuming victims much more expertly. There is of course, no proof. Will Collure make your team?